Art Director at SimonDelivers. In addition to print work, responsible for the develop information architecture, code and create look and feel of new web sites within the SimonDelivers architecture. 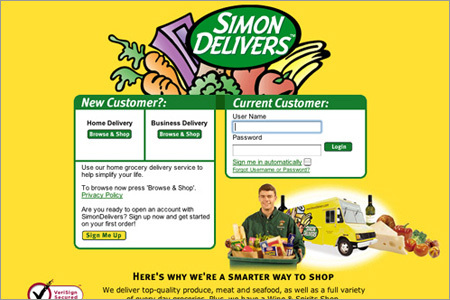 Worked on redesign of SimonDelivers' Login page with an emphasis on reestablishing their brand and a more user friendly interface.